Photo: La Source, Opra National de Paris, October 2011; Choreography: Jean-Guillaume Bart; Costumes: Christian Lacroix; Photograph Ann Ray. 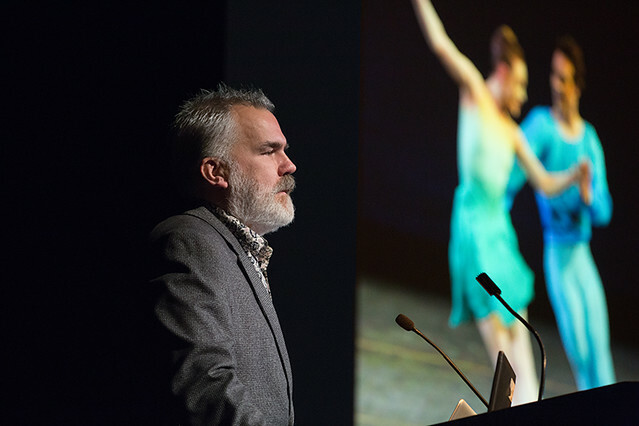 The fourteenth annual fashion symposium, Dance & Fashion, explored how dance costume has inspired fashion, and how fashion designers have increasingly been creating dance costumes. Topics include Rei Kawakubo's collaboration with Merce Cunningham and Rick Owens' fashion shows featuring steppers. There were twenty speakers, including all nine contributors to the companion book to the concurrent MFIT exhibition Dance & Fashion. Invited speakers included Marc Happel, costume director of the New York City Ballet, designer Narciso Rodriguez, dancer Wendy Whelan, and artist and photographer Ann Ray. Dr. Valerie Steele, "Dance & Fashion"
Marc Happel, "Fashion at the New York City Ballet"
Lynn Garafola, "Beauty and the Ballerina"
The Fashion Symposium was made possible thanks to the generosity of the Couture Council, the Coby Foundation, and MAC Cosmetics.